MicroSat-TD, only called “Microsatellite” by the Indian Space Research Organization, is an very low-orbiting Earth Observation microsatellite testbed developed by ISRO for the collection of panchromatic, color and near-infrared imagery to be used in a variety of applications. 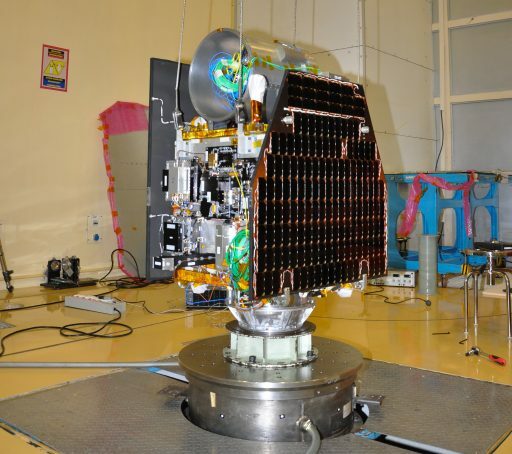 The 120-Kilogram satellite is reportedly capable of sub-meter imaging with a panchromatic ground resolution of 0.76 meters and an infrared resolution of 6 meters. 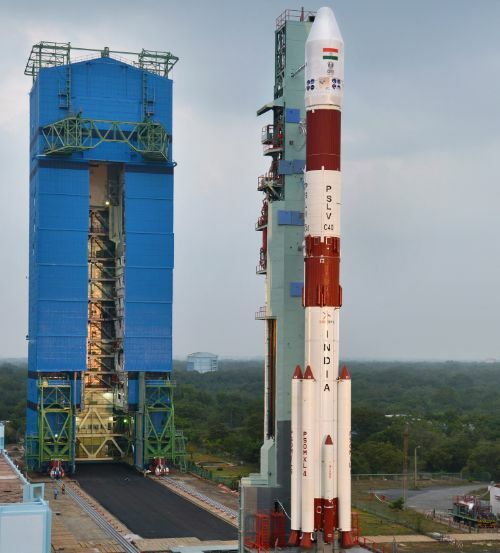 MicroSat-TD will be operated from a Sun Synchronous Orbit of 359 Kilometers – a particularly low operational altitude for a non-CubeSat Earth Observation mission. This altitude was likely chosen in an effort to demonstrate the use of the Extremely Low Earth Orbit regime as a means to increase spatial resolution by bringing satellites closer to Earth’s surface. Operating at this altitude will require the satellite to perform regular orbital maintenance maneuvers to avoid orbital decay within a period of months. This is not the first mission to explore this orbital regime for Earth observation – China’s Kuaizhou-1 satellite launched in 2013 spent several months orbiting on the edge – keeping an altitude between 280 and 305 Kilometers via two drag-compenstation maneuvers per month. Japan is going one step further by deploying its SLATS – Super Low Altitude Test Satellite into an orbit of 250 Kilometers or lower for an extended duration to demonstrate certain advantages of orbiting at this altitude while also collecting unique science data. MicroSat-TD is based on the Microsatellite-SSB platform which draws heritage from of the Indian Mini Satellite 2 platform (IMS-2) and draws heritage from the Indian Mini Satellite-1 mission that launched in 2008 as a multi-spectral imaging satellite to collect data for developing countries. The IMS-2 satellite bus offers complete redundancy within its critical subsystems and follows a modular design approach, allowing the satellite platform and instrument to be developed and tested separately before being joined late in the satellite integration process. The bus structure is comprised of aluminum honeycomb panels that create three horizontal decks providing mounting surfaces for system components. 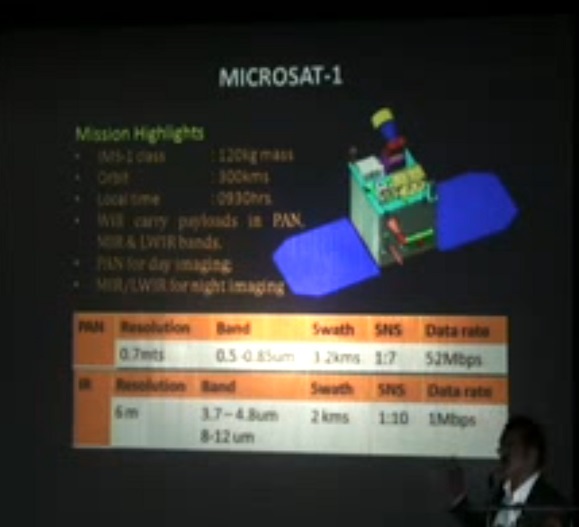 Overall, the IMS-2 platform measures about 1 by 1 by 0.6 meters in size, offering an additional payload volume of up to 0.9 by 0.9 by 2.0 meters with a maximum payload mass of 200 Kilograms.